As you may have seen on our Facebook, Instagram, Twitter, or website accounts, we moved our tiny house to Loveland, Colorado in October 2015, where we spent a fun and snowy first winter in our tiny house on wheels. Extenuating circumstances having nothing to do with the tiny house itself brought us back to Texas for a spell, but the end-game has never changed: to travel across the country to visit all 48 Lower States one our way to Washington State, where we’ll buy some land and create a mini homestead of our own! After six months in Colorado, we made the tough but ultimately best decision in the long run to return to Texas for about a year to focus on finally paying off all our debt, finishing and improving upon TH43’s design (winter showed us a few areas to beef up! ), and help out Meg’s dad by house-sitting while he spends the rest of the year traveling for work. Unfortunately that means not living in the tiny house full-time for a while, but with our same safe parking spot back at Meg’s dad’s place secured, we will be able to make our THOW even better than it would have been had we been trying to build on it and occupy it at the same time. It’s definitely a bittersweet decision (and yes, Reality Bites sometimes), but we know ultimately it’s going to be a great thing for the house and for us! TinyHouse43’s first winter in Colorado! 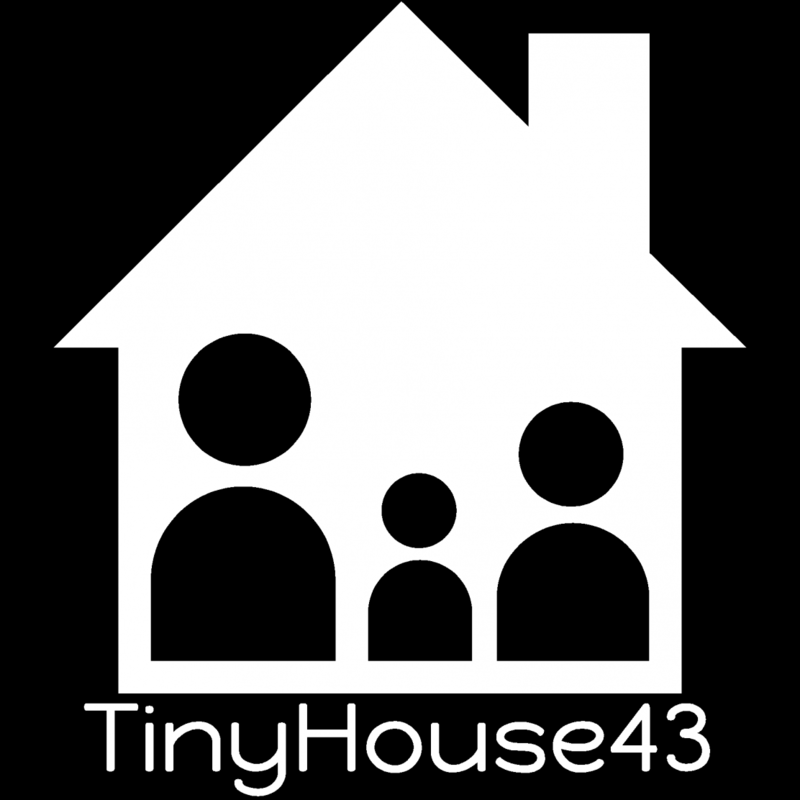 We wanted to take a moment to let you know that our WordPress blog will be more active once we return to Texas in April 2016, and the one directly built into our website, www.TinyHouse43.com, will be secondary while we are temporarily not living full-time in the THOW. If you haven’t subscribed to this blog yet, be sure to do so for the latest updates as we complete and improve TH43 v2.0! You can access both of our blogs by clicking the BLOG link on the top right side of our website, and you’ll see an additional link back to this blog in the center of the screen once you do. There’s also a link on this blog on the top left that says “Back to TinyHouse43.com” that will return you to the website as well. We are still working on fully integrating the WordPress version (the one you’re reading now) with our primary website’s blog (the one on http://www.TinyHouse43.com), but with the additional links in place on both sites you should be able to navigate between them with relative ease until that transition is complete. Thanks for your patience! We want to thank each and every one of you who follows along on our adventures in downsizing, building, and finally living in our tiny house for three, and we hope to have the chance to meet some of you when we finally hit the road for our jaunt across North America! All of those plan details are still in flux depending on a few work related options for Meg, but the plan is still to start our travels sometime in 2017 with an arrival window in Washington State no later than the summer of 2018. We’ll keep you updated as details are locked in, but for now please enjoy both this building blog and our website with the most up-to-date details of our new tiny life! Oh, and check out these articles featuring our TinyHouse43 on GLAMOUR.com and Tiny House Swoon! That’s the next step! Right now photos are available on Instagram, Facebook (the bulk of them), and in individual posts throughout the blog itself. I’m working on the galleries in the main website next, so bear with me! I’ll post another update when that is completed, and you’ll access them directly in http://www.tinyhouse43.com vs. through the WordPress blog section. Hey Kat! There are a couple WA state builders, though I’m not certain if there are any specifically on the eastern side of the state. My personal fave WA builder is Zyl Vardos in Olympia – his are masterpieces! Another WA builder I know of is Seattle Tiny Homes, and they have some cool designs. To the east of you is Tiny Idahomes, and if you go down into Oregon you’ve got a couple builders down there, too. Several others will deliver to you from other states (Colorado having at least two I know of an love, Rocky Mountain Tiny Houses and Tumbleweed Tiny House Co) for a delivery fee. You’ll find something you like I’m certain. 🙂 Good luck!! What a great blog you have here. I love the idea of tiny homes, they’ve been getting a lot of press recently and I’m keen to find out more information. Your blog is a great place to start! This entry was posted on March 13, 2015 by Meg in Downsizing and Decluttering, Randomness, Reblogs, Tiny House Building Plans & Progress, Tiny House Travel and tagged amish barn raiser, diy tiny home, th43, tiny house, tinyhouse43, tinyhousefo4rthr3e, tinyhouseforthree, tumbleweed tiny house.